In 2008 the Foundation announced the development of the Peripheral Neuropathy Research Registry (PNRR) which will better characterize clinical phenotypes and genotypes of patients with peripheral neuropathies (PN) and generate a cohort of well-studied patient population. Currently, limited data exist to define characteristics of peripheral neuropathy patients with neuropathic pain. 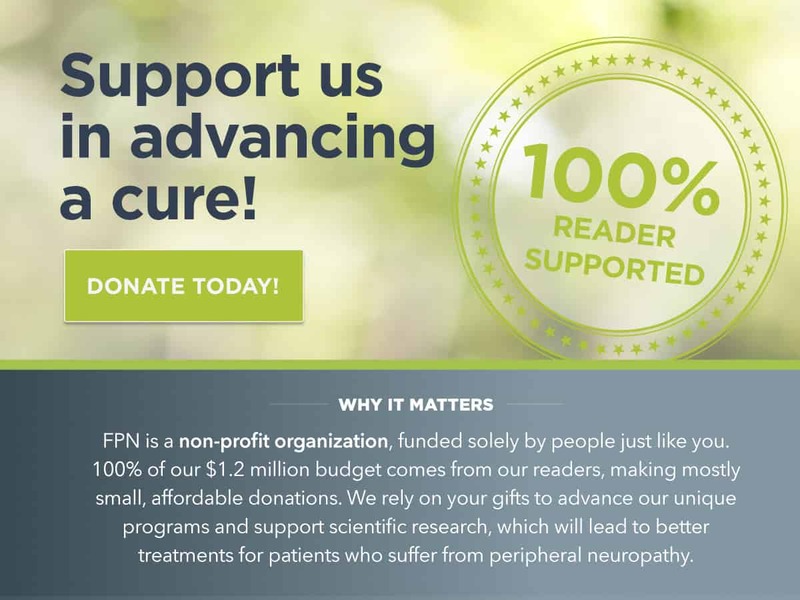 In a groundbreaking step to learn more about PN and to find a cure for the debilitating condition, the Foundation for Peripheral Neuropathy has launched the first ever national Peripheral Neuropathy Research Registry (PNRR) focused on Diabetic, Chemotherapy-Induced, HIV/AIDS and Idiopathic neuropathies. The data in the PNRR aims to help researchers access detailed genotypic and phenotypic history and neurological examination information about people with painful and non-painful peripheral neuropathies. This Research Registry will facilitate both basic and clinical research studies that are expected to improve understandings of the etiology and pathogenesis of PN. Ultimately, the major goal of the Registry is to improve the ability to diagnose, treat and prevent peripheral neuropathy. In order to achieve its mission, the Foundation has assembled a team of leading experts to pinpoint what is needed to find a cure. This is an expensive investment but the greatest/significant payoff could be life-altering/transforming treatments for patients, something that patients and their families would argue is well worth the investment. Not only does this Registry require researchers who are experts in Peripheral Neuropathy, it requires patients who are willing to be active participants in research studies and clinical trials and who, by virtue of their day-to-day experience can contribute their own observations for new approaches to research. Want to participate in PNRR? Patients often ask how they can participate in the PNRR. Here are some of the most frequently asked questions. For more information, please review the PNRR Brochure. How can I enroll in the Foundation’s PNRR? There are six (6) consortium sites for the PNRR: Johns Hopkins University (Baltimore), Kansas University Medical Center (Kansas), Mount Sinai Medical Center (New York), Northwestern Medical Faculty Foundation (Chicago), University of Utah (Salt Lake City), and Washington University School of Medicine (St. Louis). To enroll in the PNRR you must meet the inclusion criteria: at least 18 years of age; diagnosed with Diabetic Peripheral Neuropathy, Chemotherapy-Induced Neuropathy, HIV/AIDS related Neuropathy, or Idiopathic Neuropathy; be seen at one of the consortium sites. How many times must I be seen at the consortium site? Each participant must been seen by a neurologist in the PNRR at least once. You will be asked to sign a consent form, complete a full medical history questionnaire including social, occupational, and family data, and have a complete physical. You will also be asked to provide a blood sample. How confidential is the database? The registry has state-of-the art security systems with many safeguards in place to maintain patient confidentiality. Will my insurance cover my participation in the registry? Most insurance companies will cover your expenses but it depends on the coverage you have with your medical provider. Prior to scheduling an appointment at a registry facility, you should contact your provider and check your benefits. How do I contact a consortium site to make an appointment? Network of leading neurological clinics anc collection siteswho work with each other and FPN to build the PNRR.